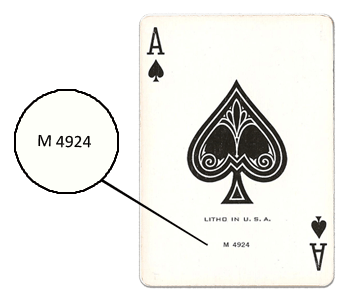 Much has been written over the past 100-plus years since the unsinkable sank – and some of it has been about people playing cards at the time Titanic hit the iceberg; and the playing cards themselves that have been associated with this disaster. 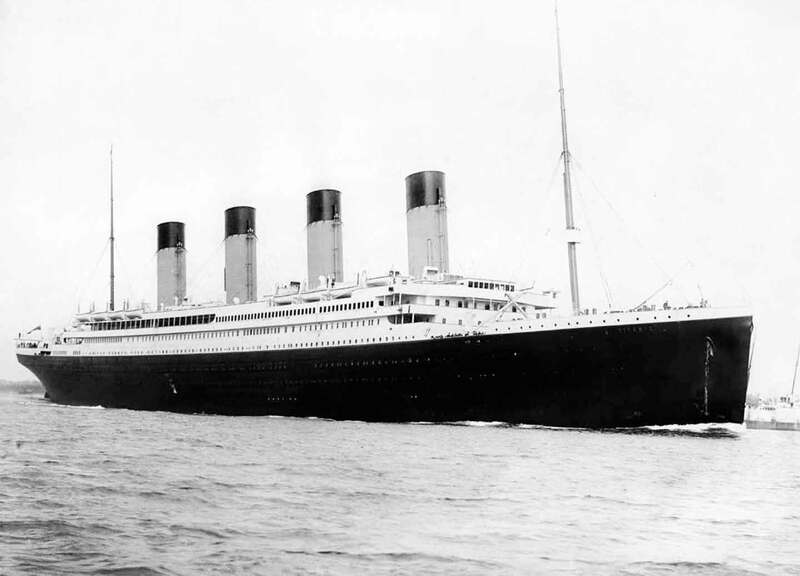 The Titanic was the newly launched pride of The Oceanic Steam Navigation Company. Also known as White Star Line of Boston Packets, it was more commonly known as just White Star Line. It was a prominent British shipping company, today most famous for their innovative vessel Oceanic of 1870, and their Olympic class ocean liners, including the ill fated RMS Titanic. In that era, auction bridge was a very popular game, especially with the class of people that would be traveling on the maiden voyage of a fantastic new ocean liner! 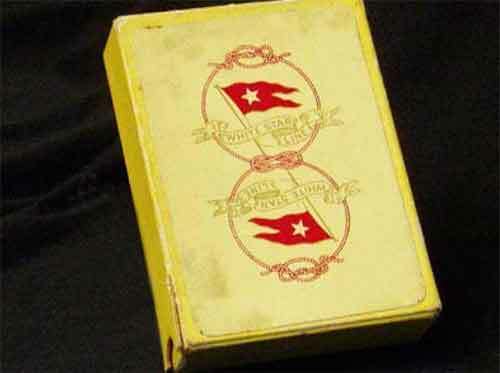 Pack of White Star Line Playing Cards (Brand Unknown) still in slipcover box. 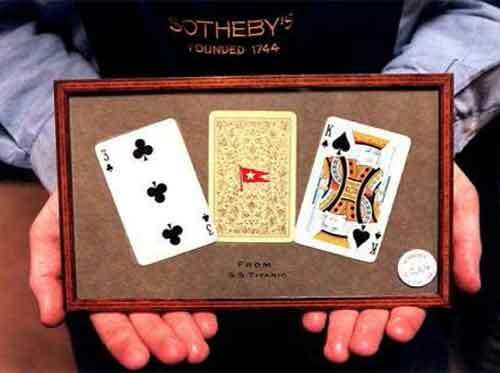 Three cards from a pack of White Star Line playing Cards on auction at Sotheby's London (Source: Sotheby's). In another interview, one survivor, a barber who plied his trade crossing back and forth over the Atlantic more than 350 times, had this to report. 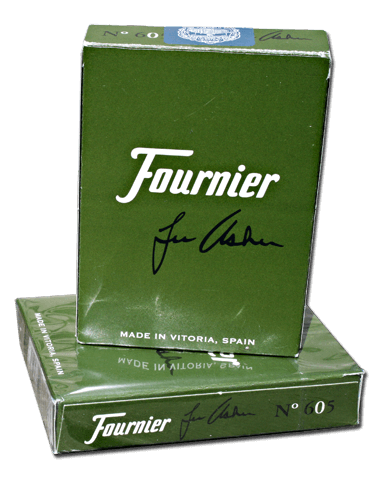 “I had closed my shop and was taking a turn on the promenade. Looking through the windows I could see the passengers in the main saloon playing cards and reading. Suddenly, I was startled to hear the hoarse voice of a lookout command, Port your helm!" 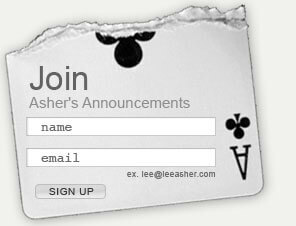 Naturally, a steamship company of that caliber would provide playing cards for all their passengers to use. It would seem, however, that one traveler hadn’t realized this prior to departure and brought his own, as we can see from this small report. “As the centennial of the tragic sinking approaches, Titanic: The Artifact Exhibition invites guests to learn more about the recovered artifacts of the 'Ship of Dreams'. 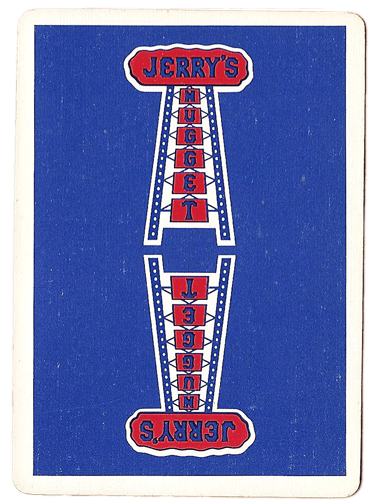 Soon to be sold at auction with almost 5,000 additional artifacts valued at $189 million, these American steamboat playing cards are from a pack of 52 found among the personal property of passenger Howard A. Irwin and can be found inside Luxor Hotel and Casino." 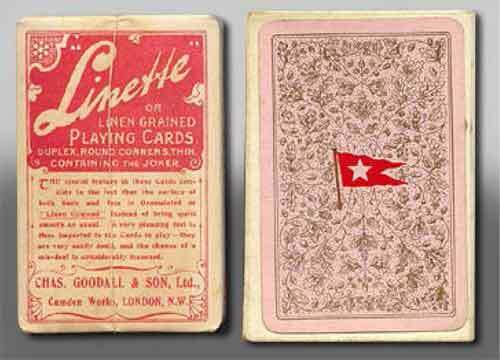 Box of 'Linette' Brand playing cards made for the White Star Lines. 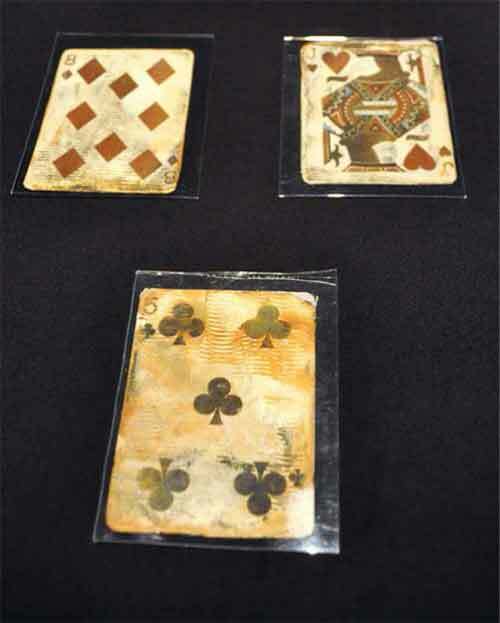 The pictures you see are of cards and packs that, purportedly, came from passengers who had taken them off the ship, or were recovered in recent salvage operations.  The source of all the images in this article Tony Probst / TitanicCollector.com unless otherwise noted. 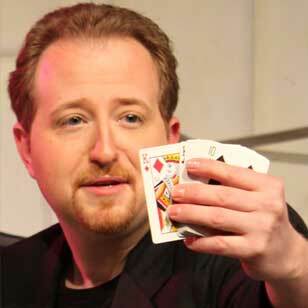 Tom Dawson's article first appeared in CARD CULTURE (June 2015 Issue #7).